This exotically stunning (original) dial is really quite amazing on the early 50’s GRANT vintage steel 35mm. 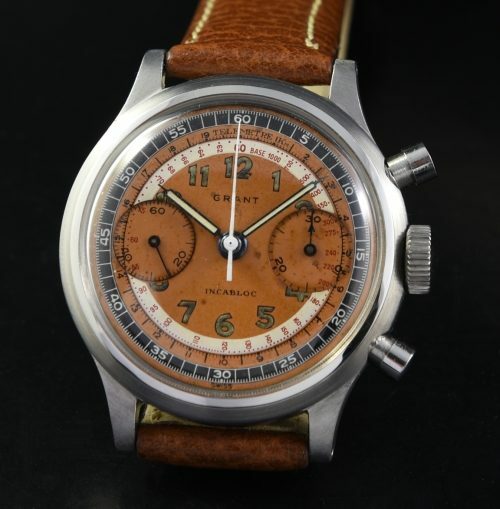 chronograph with screw-back. The dial and (re-lumed) hands in all their glorious tones are completely original to the watch. You just don’t find dials like this. 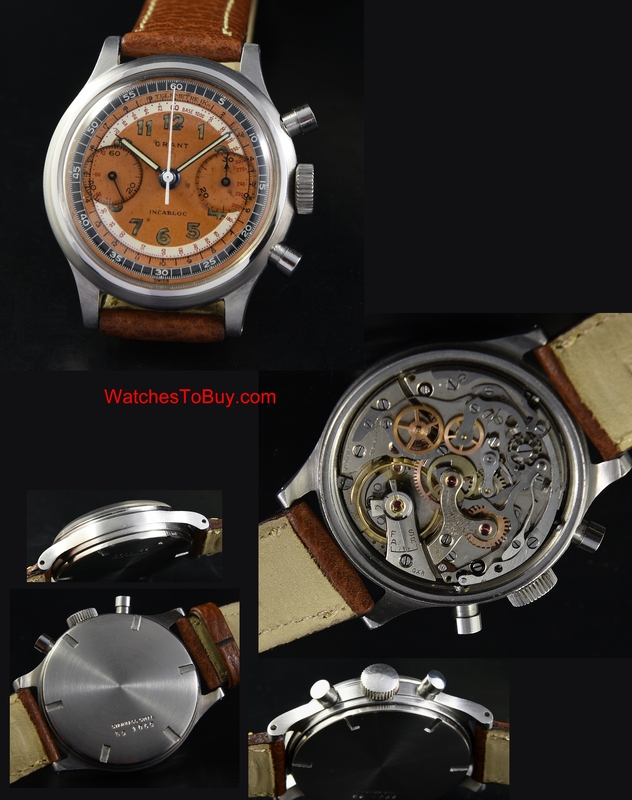 The beefy case houses a fine Valjoux 23 manual winding chronograph movement which has been cleaned and working perfectly. Don’t hesitate on this one. It is rare to find neat watches like this.